You can enjoy peace-of-mind knowing all residents’ changing needs are very well accommodated for at Casa Dámore. We offer readily available assistance and attentive nursing care 24 hours a day, seven days a week. Our comprehensive services include both extensive care and palliative care. Our readily available multidisciplinary team includes doctors and allied health professionals such as physiotherapist, podiatrist and dietician. 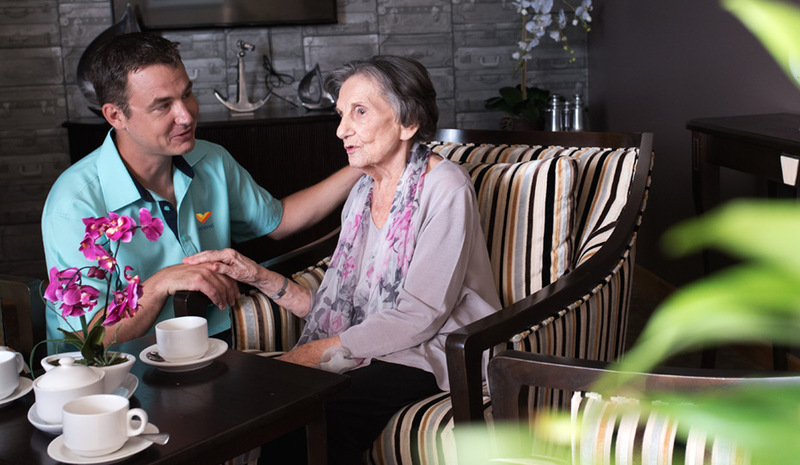 Our personal approach enables us to meet each resident’s individual care needs in partnership with their loved ones. The Servizi Additional Services package includes a variety of additional snacks and menu choices are also on offer as well as alcoholic beverages and monthly coffee vouchers from Café di Casa. A refrigerator, microwave, wall-mounted flat screen television and air-conditioning also comes with the Servizi package.